Helps the body adapt to stress! 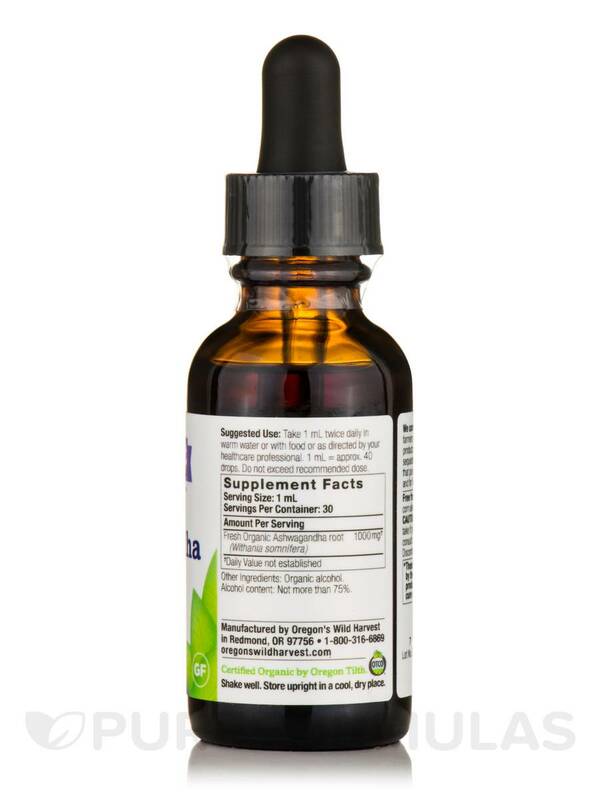 This amazing adaptogen can help you feel rested‚ energized and ready to take on the day. Let's get fresh. Inhale the rich‚ pungent smell of premium Ashwagandha. That's whole‚ pure root you smell. Grown organically and processed immediately for optimum potency. Here's to your health! Other Ingredients: Organic alcohol. Alcohol content: Not more than 75%. Absolutely no dairy‚ wheat‚ peanuts‚ soy‚ gluten or corn allergens. Take 1 ml twice daily in warm water or with food as directed by your healthcare professional. Note: 1 ml = approx. 40 drops. Do not exceed recommended dose. Shake well. Store upright in a cool‚ dry place. Keep out of reach of children. Do not take if pregnant or nursing. 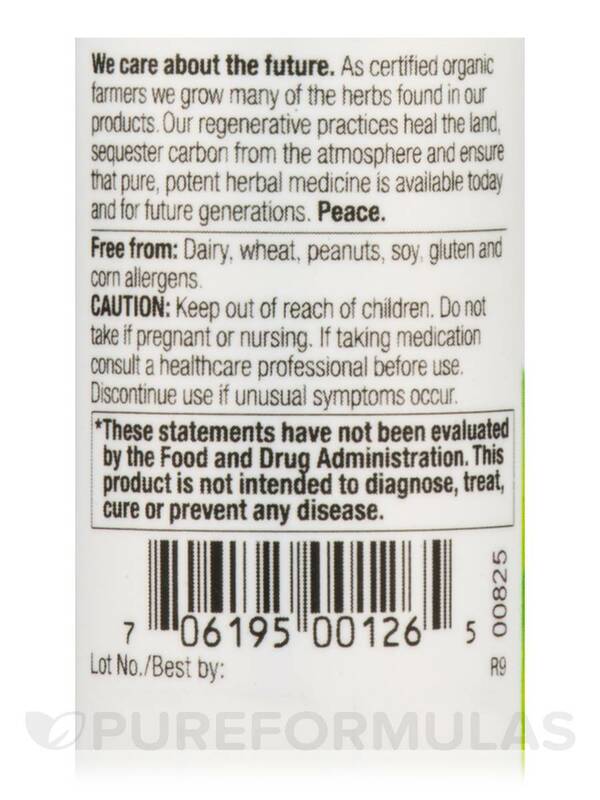 Discontinue use if unusual symptoms occur. 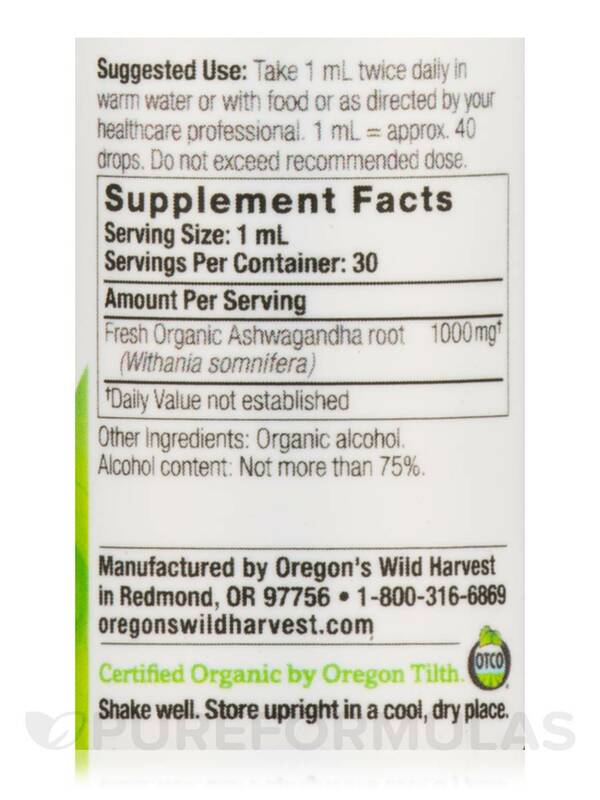 Ashwaganda Organic Extract by Oregon's Wild Harvest has definitly given me more energy since I started taking it. I do find that it smells like wood but it does not taste bad! Goodbye Brain Fog and Joint Pain! I started taking ashwagandha after feeling tired and brain fogged. I was also experiencing inflamed joints. I started noticing a big difference in less than a week. 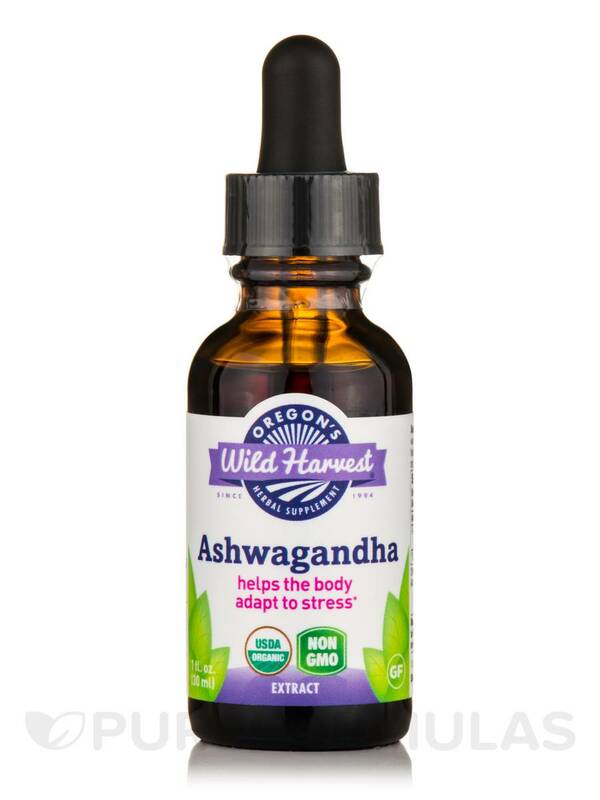 I've been taking Ashwagandha, Organic Extract by Oregon's Wild Harvest for a few months now and I am surprised that I have so much energy left at the end of the day and I'm able to concentrate more. I really enjoy the taste. It's has a light minty taste. Easy to take. Tastes fine, like most herbs. I first began taking Ashwagandha Organic Extract by Oregon's Wild Harvest as an alternative to another "pill" supplement. I take enough capsule supplements so I wanted to try and see if the tincture would be as effective. The active constituents of ashwagandha act on GABA receptors. Also, "Tinctures are herbal extracts that implement alcohol or glycerin to draw out the components of a plant. This form of delivery is preferable when you wish to benefit from all of the innate qualities held within an herb, without consuming the entire raw plant." Some report that tincture works better than capsule form (whether that is true or not, I cannot confirm). 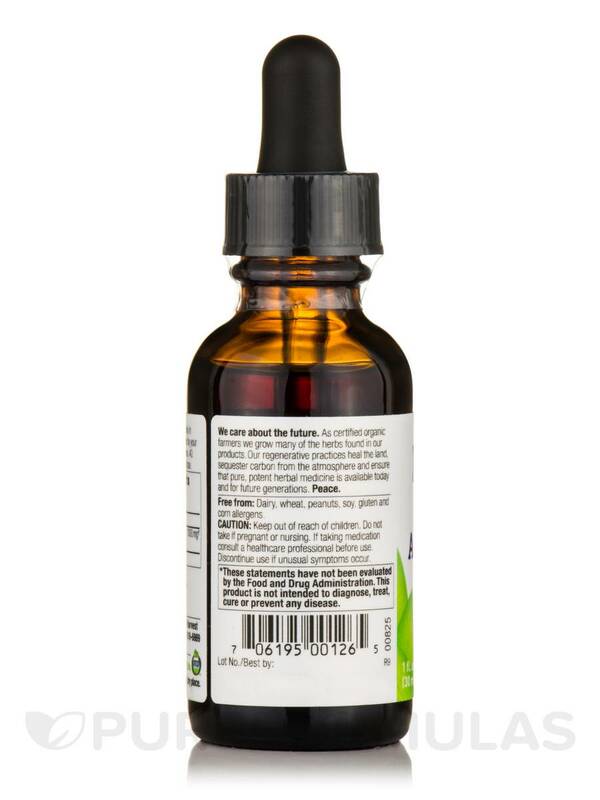 For me, however, this tincture has been very effective and easier to take on the digestive system when combined with purified water (I take it in 1-2 oz of purified water). This combined with L-Theanine is a great combination to help control anxiety, adrenal fatigue and also helps reduce cortisol levels. Plus, I like the fact that with the tincture dropper, I can decide the amount I want or need to take. I have been very pleased with this brand. It is organically grown and non-GMO. Easy to take. Tastes fine--like most herbs.